PHILADELPHIA -- If you bought a ticket through Ticketmaster since 1999, the company may owe you money - in the form of free tickets. They recently agreed to pay $386 million to settle a class action lawsuit filed more than a decade ago. The plaintiffs claimed that some of Ticketmaster's fees were deceptive and misleading. So if you bought a ticket from the website between October 21, 1999 and February 27, 2013, you could be eligible for tickets to a Live Nation event. 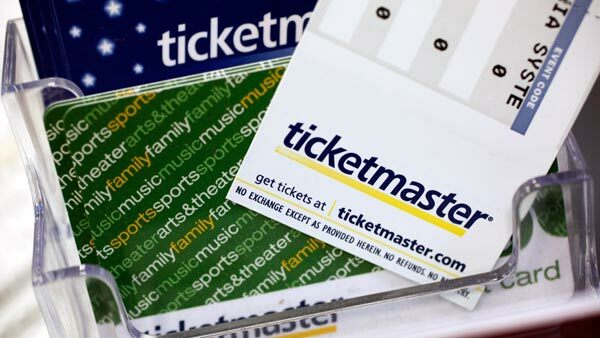 Starting now, voucher codes will be automatically added to your Ticketmaster online account. "You may have recently received an email regarding the Schlesinger v. Ticketmaster Class Action Settlement because you are a Class Member who may be entitled to Ticket Codes as part of the Settlement," a statement on Live Nation's website says. "Once Ticket Codes are made available to you in your Ticketmaster account, you may attempt to use your Ticket Codes to claim "free tickets" identified as available for redemption on this website. These "free tickets" are available on a first-come, first-served basis and may not be available for redemption if others have claimed them before you." Though the Official Settlement Website says, "A list of events for which the Ticket Codes presently may be redeemed (provided you do so before they have been secured by others) is available at http://concerts.livenation.com/microsite/settlement, the events have not been finalized as of yet, as there is no list. If you want to stay up to date on the case and when a list of eligible events will be published, you can sign up here.